With a keen enthusiasm in economics, financial markets and geopolitics, Antonino Mallaci Bocchio also believes that economics can be found in every aspect of our life. Indeed, Antonino feels that through economics we are able to rationalise the way we live, function and behave. “The Economics course gives you an incomparable edge to start your career, and is a perfect mixture of theory and practice applied in real case scenarios. Another benefit is the fact that most of the lecturers call on previous careers with leading institutions,” he says. 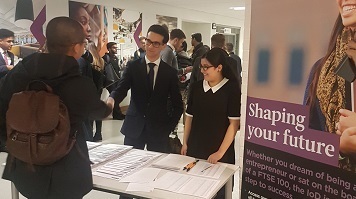 Antonino says that he chose LSBU because he is truly fascinated about LSBU’s entrepreneurial spirit. “I firmly believe that LSBU is the right institution to grow both academically and professionally, and it is a place where you can be innovative with the right combination of hard work, commitment and resilience. The teaching staff on the programme are extremely helpful and dedicated to delivering excellent teaching standards. As an enthusiastic learner, always willing to further his knowledge, last summer Antonino applied to a summer school at the London School of Economics with a specific focus on fixed income securities and the debt market. “Despite the highly competitive application process, I managed to successfully be accepted by leveraging very high grades on my first year of studies at LSBU. Moreover, this summer I have achieved an advanced level 5 Diploma in Trading and Financial Markets Analysis issued by The London Institute of Banking and Finance.